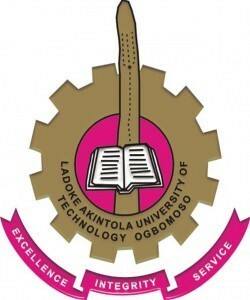 Ladoke Akintola University of Technology, LAUTECH has activated the online portal where interested students can change their course of study for the 2018/2019 academic session. We are using this platform to inform all the students of Ladoke Akintola University of Technology, Ogbomoso (LAUTECH) that the Senate has approved the commencement of change of programme. Consequently the LATUECH change of programme portal has been activated and made accessible to all the students who desire to change their programmes. Visit the official portal @ transfer.lautech.edu.ng after paying the change of programme fee of Five thousand Naira (N5,000,00 only) using interswitch enabled debit card. Interested persons can access the platform starting from Wednesday, March 27th, 2019 and closes after two (2)weeks. The closing date for LAUTECH Change of Course for 2018/2019 academic session is Wednesday, 10th April, 2019. Therefore, all interested students are advised to adhere strictly to the time line as there will be no extension of date for the exercise.